The last track of the Learn2Lead course focuses on how to run and grow three vital areas of local church ministry. Learn2Lead is a ten-unit course which introduces the principles of Biblical leadership for those who want to serve at all levels in the local church fellowship. 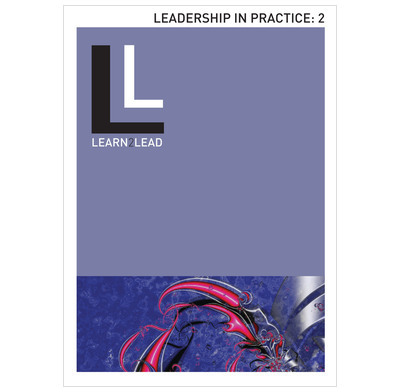 You can work through these sessions as a stand-alone course, or as part of the more comprehensive Learn2Lead programme. You can study them individually, or as part of a larger group in your church. This unit is especially suitable for anyone involved in regular preaching and teaching, members of youth and children's work teams, and anyone who has oversight over ministry in the wider congregation. A really helpful guide and introduction to leadership, covering a lot of the nuts and bolts of ministry and Christian leadership. Easy to read, biblical, practical and encouraging. A helpful refresher for those that have been taught a bible overview before or a useful starting point for those that haven't! Great for individual study or for discussion with others. Each study took about 45 mins to an hour but could have been done more thoroughly. Easy to follow lessons leading to a much better understanding of leadership. If you still have to work full time to earn a living and you can not afford the time to attend courses then this is for you. This gives a complete view of the whole bible. Each chapter covers one section with questions and topics for further study. Excellent for group work or as an individual. Our students are finding this helpful interesting, stimulating, enriching,mind-stretching and heart-warming. So much in small compass. Need I say more? I was looking for an easy step by step learn2lead, and was delighted to find that the goodbook company, could provide a series of this type. I decided to try the first in the series and I am working my way through this book, I find it very comfortable and informative. I would recommend this for new or longer term church leader.